To paint a better picture of the Kingdom, Riyadh has been paying media across the globe as well as setting plans to ban reporters critical of the government from working in the country, Reporters Without Borders concluded after digging into WikiLeaks. The so called ‘Saudi Cables’, revealed by the whistleblowing website, were used by Reporters Without Borders to give a better insight at the lengths the Saudi authorities are willing to go to in order to try to present a more positive image of the country abroad. The non-governmental organization cites numerous examples dated from 2010 until 2015 including Saudi Arabia looking to fund media publications from around the globe – from Iran to Senegal. “In 2011, for example, the Saudi embassy in London suggested funding Wesal Farsi TV (now called Tawhid), a London-based, Persian-language TV station owned by a Sunni Iranian citizen opposed to his country’s government. In return for monthly funding and allowing Saudi Arabia to appoint a representative to its board of governors, the TV station would respond to Iranian media criticism of Saudi Arabia,” Reporters Without Borders (RSF) wrote on their website. The cables also highlight how some media organizations would actually approach the Saudi’s themselves for funding. Reporters Without Borders cites the example of the Afghan media center Spogmai. Its head requested funding in 2009 for the creation of a news website, a daily newspaper, a magazine and a TV station that would act as counterweights to Afghan media outlets, which were funded by rivals Iran. Not all media outlets are willing to be bought, but the Saudi government seems to have a solution for those not interested in petrol dollars, RSF says. Infuriated by the Financial Times newspaper, which it had said had “published lies” about Saudi Arabia, authorities in the Kingdom forced the publication to withdraw its correspondent and shut down its bureau in Riyadh. Saudi Arabia even considered taking legal action against the newspaper if it did not issue an apology and seek to report on the Kingdom in a “neutral” and “objective” manner. The Saudi regime has also targeted journalists, the report finds. The country’s embassy in Berlin paid five German reporters at least €7,500 per month in order to write positive articles about Saudi Arabia every six months. This came in response to an alleged campaign by the Israeli embassy in Berlin cooperating with German media publications to write against Arab countries. “The embassies play a dynamic role in organizing and maintaining active pro-Saudi propaganda abroad. 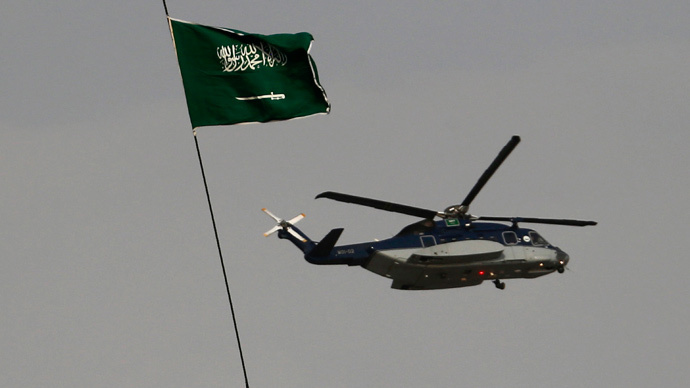 As they are familiar with the local media, they are best placed to monitor what the media are saying and to make suggestions to the Saudi government,” Reporters Without Borders stated. Following the revelations by WikiLeaks, the Saudi government warned its citizens not to share documents on social networks as they said they could have been fabricated. “We are seeing how the oil money is being used to increase influence of Saudi Arabia which is substantial of course - this is ally of the US and the UK. And since this spring it has been waging war in neighboring Yemen,” Icelandic investigative journalist and spokesperson for the WikiLeaks organization Kristinn Hrafnsson told RT. WikiLeaks said that it plans to publish about half a million documents, which include communiqués from the Saudi Foreign Ministry, as well as ‘top secret’ reports from the kingdom’s intelligence agency and Ministry of Interior.